We continue to find that FeatureScript is a really powerful way to make Onshape easy to use. 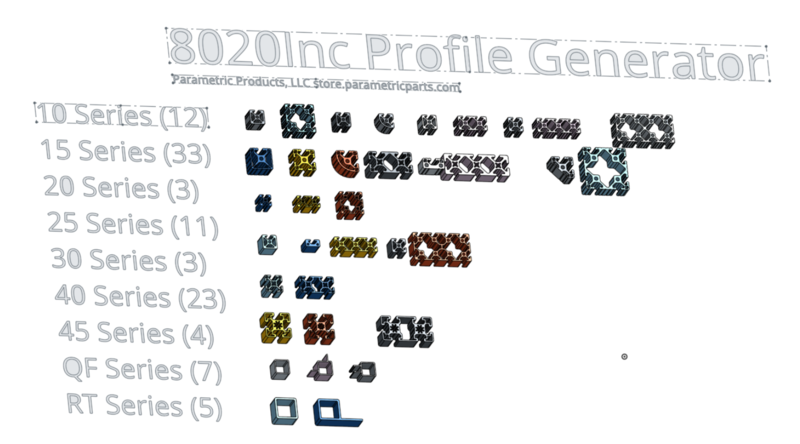 We've created a FeatureScript that can generate all 80/20 Inc(c) profile sections ( all 111 of them). Using this feature, you can extrude any length of any profile you wish. Multiple point extrudes are supported as well. Performance can be a challenge with this one-- try it out and let us know!